Facebook Event page is up! RSVP here. Time: Friday, January 6th, from 5:00pm-8:00pm. 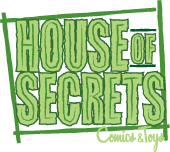 Friday we welcome Ed Brubaker to the House @5 pm. 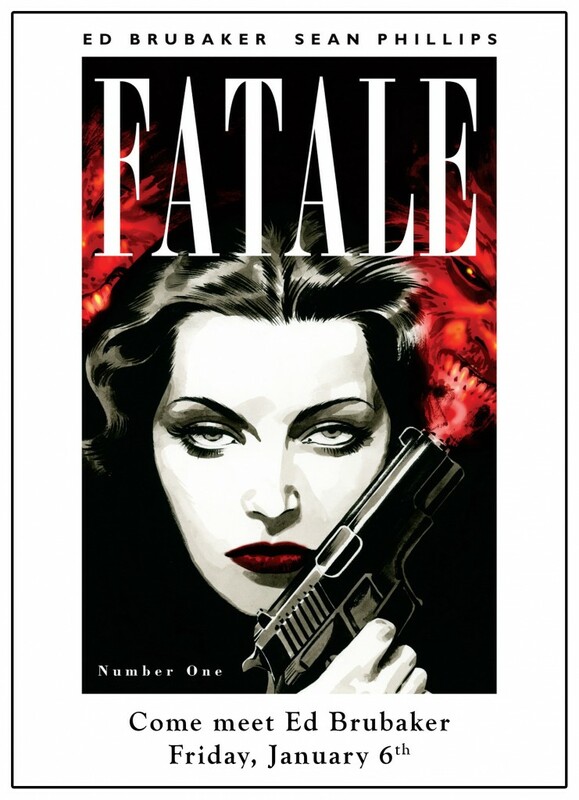 Ed will be on hand until 8 to sign copies of ‘Fatale’, answer questions, and dish out some multi-media fun. Gun molls and ‘Criminal’ attire, are highly encouraged at the request of Mr. Brubaker. R.S.V.P encouraged. ADDENDUM ON SIGNING: We think there should be enough time for Ed to sign other (non-Fatale) books if you have other things you’d like to bring, but we will stare disapprovingly if you’re NOT reading Fatale because you are clearly a crazy person. ADDENDUM THE SECOND, ON PUNNING: Amy has refrained from calling this event “A Fête Fatale,” but only by an effort of will. Please console her for the lost opportunity by adding your own terrible titles (#FF/FataleFriday/Brubakery/Ed-stravaganza, etc.) in the comments.